The perfect gift for new parents, pairs our best selling baby carriers with our easy-use Infant Insert to carry baby ergonomically and comfortably from infant to toddler. Ergobaby Carriers are comfortable for parents, ergonomic for baby, offer multiple carry positions and allow you to carry your baby from day 1. 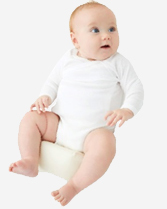 Ergobaby is simply Better Parenting by Design. 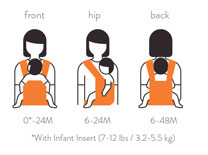 You can carry babies from newborn (with Infant Insert) to toddler (up to 45lb). 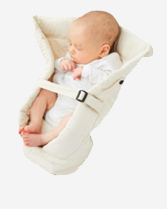 Ergobaby recommends a weight limit of 45 pounds for its Original, Organic and Performance carriers. 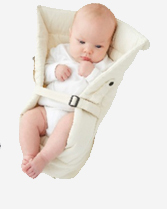 The Four Position 360 carrier has a recommended weight limit of 33 pounds.